Jonathan was raised in Chirstchurch, New Zealand where he began playing music at Burnside High School, first beginning on guitar then moving on to electric and double bass. 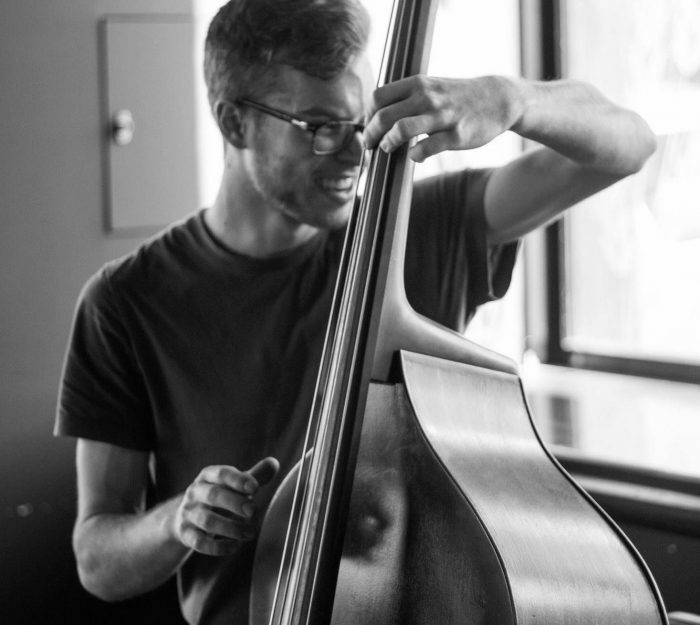 After completing high school Jonathan furthered his musical studies by attending CPIT Jazz School in Christchurch where he learnt off the most prominent artists from both New Zealand and overseas. Upon completeing his degree in 2013, Jonathan made the move to Melbourne to continue expanding his musical knowledge and furthering his career as a working musician. Jonathan made waves in the Melbourne music scene within months of of his relocation and became a regular face around clubs, bars and concert halls. Since his time in Melbourne he has played with some of the leading players in Australia including James Sherlock, Jamie Oehlers, Julien Wilson, Allan Browne, Eguene Ball, Ben Vanderwal and many more. Jonathan focuses on building students sense of musicality in a practical manner along with broadening musical knowledge and awareness through exposure to a range of different styles. A strong emphasis is put on both technique and improving overall strength on the instrument accompanied with practical aural skills that can be related directly to bandstand.